It’s not a secret that I am into Dramas, especially Taiwanese Drama.. I really wish that my first novel’s character could become alive. 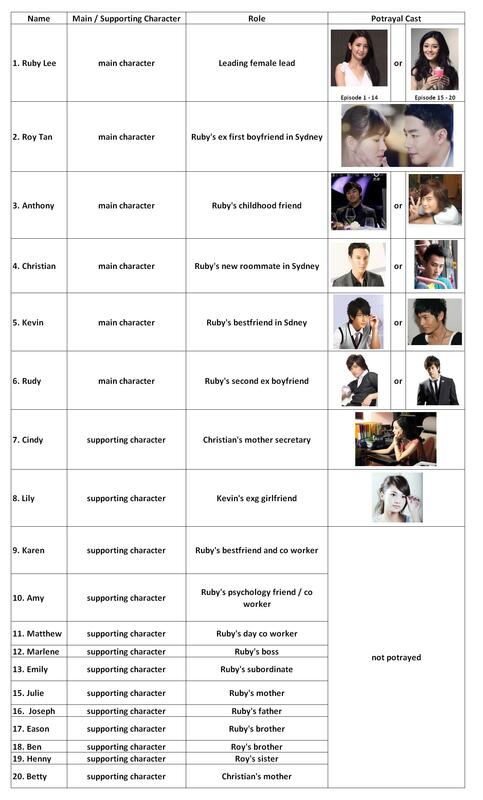 I have tried to put some famous actors / actresses below to help you guys understand the story better. It’s really hard to put just one female lead / male lead since I cannot find the screen capture to describe Ruby Go! I hope you guys don’t find it confusing. These are some episode recaps from the Taiwanese Dramas I’ve been watching / googling. Thank you and I hope that you will enjoy the story.